Global Competence: Within the Indian Hill School District, it is a primary focus area leading the District’s Strategic Plan for Transformational Excellence. This school year, for the first time and in partnership with the Indian Hill Global Group – a parent-based group supported by the Indian Hill PTO – Braves will enjoy a week-long cultural learning experience. February 4 through 8 Braves will learn from parents about 25 different nationalities represented within the District. The week of global learning opportunities will culminate with the traditional Global Fair at Indian Hill Middle School on Friday, February 8. Braves will create flags reflecting the nationalities of the families we have in our District. They will learn the meaning behind the design, and have the opportunity to celebrate their creation with a parade! To the tunes of songs from different nations throughout the day, Braves will experience lessons on currency, geography, and topography from different countries aligned with the curriculum level of their grade. Global Day for our IHHS students will incorporate an international poem and art exhibit to enjoy where students gather every day. This is a tribute to the beauty of art at work in this world. Additionally, parents from the group will share their cooking skills as they will present delicious samples to the students in the cafeteria during lunch. The menu will include authentic recipes from Cuba, China, India, and Europe. The Global Fair, the main event of the week, will be held on this day. 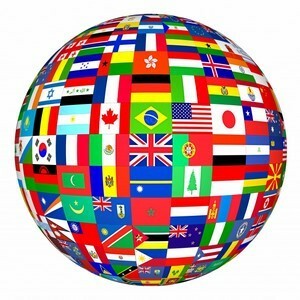 Twenty-one countries will be represented by 50 parents who will be present to share with students the uniqueness of their country through individual Q&A sessions.